Cooking With Swapna: Karachi Halwa | Bombay Karachi Halwa | Cornflour Halwa !!! 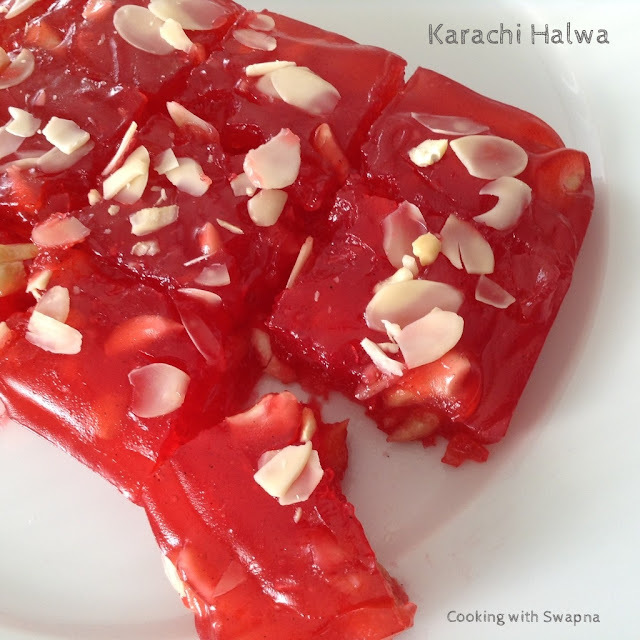 Karachi Halwa | Bombay Karachi Halwa | Cornflour Halwa !!! Karachi halwa is so easy to make. All we need to do is to mix everything together and cook till we reach the correct consistency. 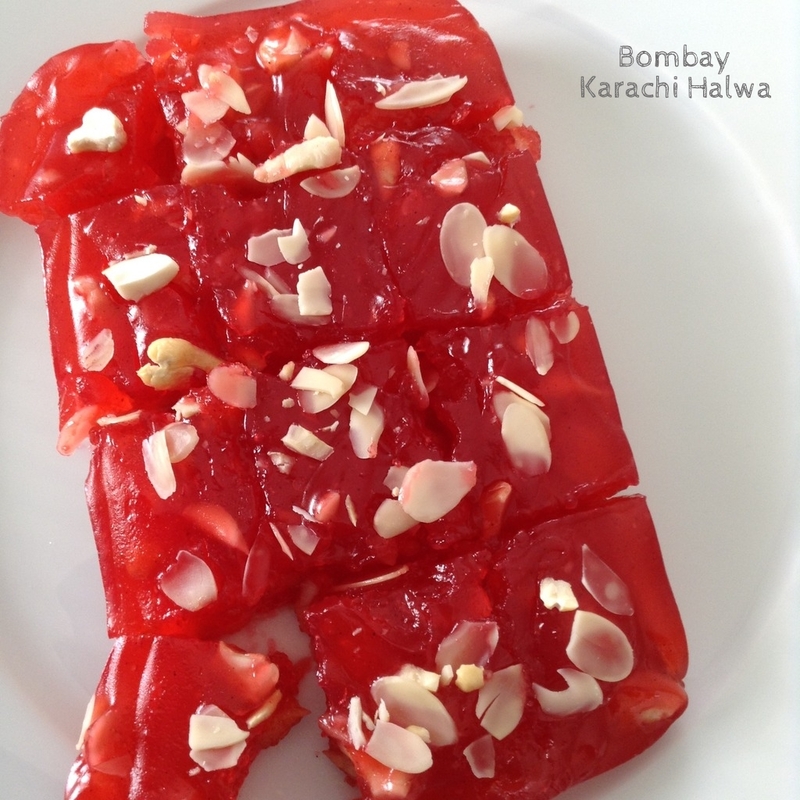 And the best part is, at home you can experiment with your favourite flavours combination to make Karachi Halwa. 1. Mix together cornflour, food colour and 1 1/2 cups of water without any lumps. Grease a plate and keep aside. 2. Slightly roast the nuts and keep aside. 3. Dissolve and boil the sugar and water till sticky consistency. Now slowly, add the cornflour mixture. 4. Lower the flame and keep stirring continuously, till the mixture becomes glossy and thick. Add ghee, cardamom powder and roasted nuts. Mix well. 5. 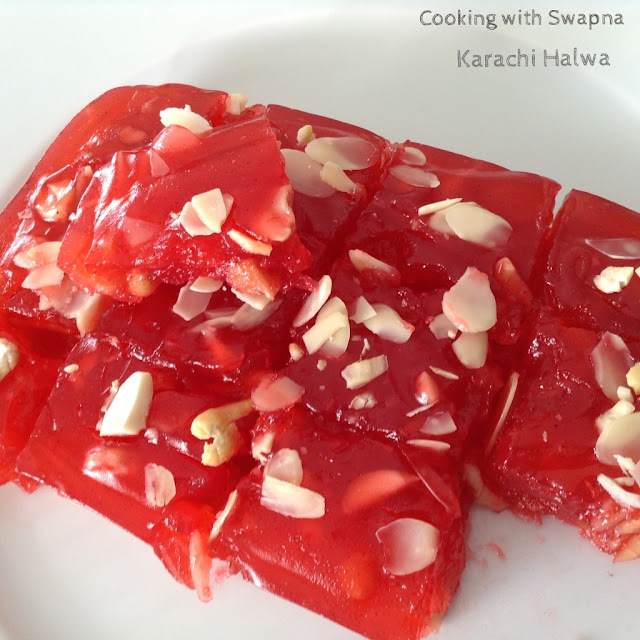 Transfer the halwa to the greased plate. 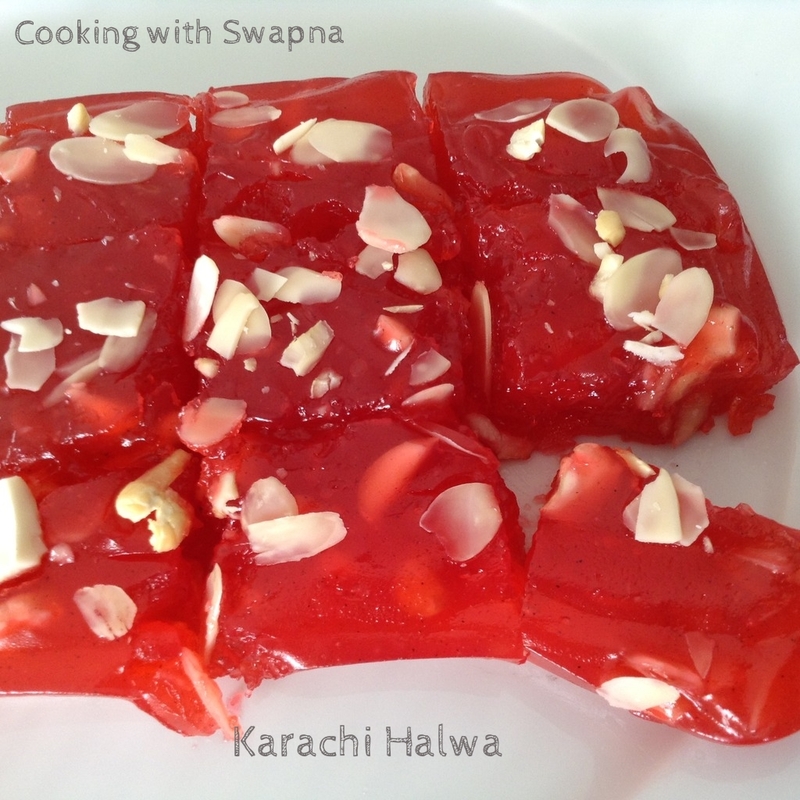 Allow them to cool completely and cut them into desire shape. Stir Fried Asparagus with Garlic !!! Chicken Soup with Rice n Dal for Babies !!! How to make Caramel sauce !!! Whole Wheat Banana Muffins !! !